Do you suffer from tight, painful hips after a long day of sitting or standing? Loosen tight hips, improve your range of motion, alleviate back pain and more with these hip-opening yoga poses. Revered in ancient cultures as an indication of child-bearing abilities, strong, wide, flexible hips can also improve your gait and blood circulation, as well as give you relief from back pain, believes Seattle-based yoga teacher Diane Anderson. While the basic shape and width of your hips are determined by your bone structure, there are various poses and stretches that help you develop curves and open up your hips to relieve pain and stiffness. Here are some of the best hip-opening yoga poses for you to try. This is a challenging yoga posture to open your hips. Place your forearms on the floor, supporting your knees with a yoga mat or blanket. Expand your knees to the right and left. Stay there for five to 10 breaths and then come back to the neutral position. Bring your right leg at a 90-degree angle with left leg reaching out behind your back. Raise both your hands towards the ceiling while maintaining the above position for five to 10 breaths. Repeat this move on the opposite side. The lizard pose is one of the more challenging yoga hip-opener poses. Step your right foot forward, in line with your forearms resting on the floor. Keep your left foot behind you in a long straight line, almost like a deep lunge. Stay in this position for five to eight breaths. Repeat the position on the opposite side. Sit on a mat with feet crisscrossed, resting your ankle on your knees. 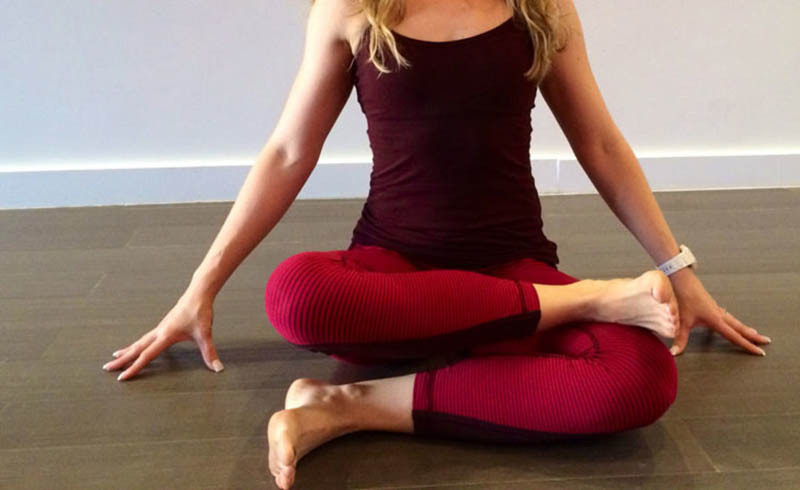 Stay in the position for five to 10 breaths, gently pulling your knee towards your chest. It is a lovely and comfortable position to open your hips. Sit with your knees bent and your feet touching each other. Then, lean backward so you are lying down flat on the floor. Try to lower your knees toward the ground, and stretch your arms above your head. Stay in the position for five to 10 breaths. Goddess pose opens the hips and chest while strengthening and toning the lower body. While standing, spread your legs wide and turn your toes out and your heels in, so your feet are at a 45-degree angle. Bend your knees deeply out the sides and sink your hips down to the height of your knees. Bring your arms out at shoulder height and bend your elbows so that your fingertips point skyward. Spread your fingertips wide apart from one another and activate the muscles across your back to hold your arms here. Stay here for 30 seconds to one minute.